Conferences and seminars are in abundance at the moment it seems. You don’t get many for the first eight months of the year, and then all of a sudden they all come along from September to December. I love a good conference, seminar or training session. I like learning. Apparently when I was a child and Mum asked me what I wanted to be when I grew up, I said I didn’t want to grow up, I wanted to keep learning. I also like visiting new places, meeting new people and catching up with familiar faces. However I also dread these events for the reason that is lunch. When booking my place I dutifully add my long list of allergies in the small space dedicated to “Dietary Requirements.” I then follow up with an email saying something along the lines of “Can I just double check you’ve got my requirements….if the caterers need to check anything I’m happy to have a chat….and by the way I’m not vegetarian or vegan, I do eat meat. And I’m not allergic to gluten…..” You get the picture. Lunchtime comes and I’m never sure if I can eat the main dishes laid out for “normal people” or if I’ve got my own special plate somewhere. I’m immediately looking like a weirdo with people thinking I’m pushing into the food queue, when in reality I’m just checking. I’ve learned not to just get in the queue and hope for the best, as by the time I get to the front and realise I can’t eat anything, lunch break has almost ended and my tummy is still empty! Some caterers get it right. I attended a session at the Hilton Bankside last year and there were loads of dishes to choose from, each with an allergen label next to it. This was great because I could blend in with the other delegates and not cause a scene. On the opposite end of the spectrum I attended an event recently where the caterers are usually very good. I always get my own plate of food which is very nice-often some kind of salad with grilled chicken or beef. Unfortunately they got it very wrong this time. The plate was labelled with my name and the list of allergens exactly as I had stated in the booking and email follow up: dairy, egg, nuts, fish and avocado. They had provided a choice of sandwiches filled with chicken and guess what? Mayonnaise. Now, the last time I checked, mayonnaise was made with egg. Which I’m allergic to. As it says on the label stuck on the mayonnaise sandwiches!!!! What ensued next was total embarrassment for me and the person I was talking to, who worked for the host company. They apologised a lot and I told them not to worry a lot. It was all very British! What I dislike the most about this sort of scenario (which wasn’t the first and most definitely won’t be the last) is that discussion all becomes about me and my stupid allergies and not about the topics of the event, which in my opinion is the very reason for being there. Next week I’m off to another seminar, so I wonder what culinary joys will await me? If any of my readers have any tips or suggestions on how to deal with these sorts of issues I would welcome your comments! Afternoon tea, it’s a piece of cake? Afternoon tea, that great British tradition. Decadent and glorious for a normal person, but a nightmare for Allergy Girl. Let’s start with layer one; the sandwich. Easy, right? Two pieces of bread, some kind of spread and a filling, delicately cut into bite sized fingers. Wrong! The humble sandwich is one of Allergy Girl’s biggest nemeses. The first hurdle is the bread itself. I don’t have a gluten allergy. Bread makes me fat, but I like it. But many catering establishments look at my list of allergies and think, “She’s allergic to stuff, therefore she can’t eat gluten.” So I end up with this weird crumbly dry stuff that vaguely resembles bread but tastes like it’s made of plywood. Which leads me on to the next hurdle – spread. There are loads of good dairy free spreads available nowadays, so I struggle to understand why caterers find this one tricky. Nineteen Fourteas tearoom in Havant, Hampshire, rose to the challenge and popped to the local Tesco before my recent visit. Problem solved. So onto the final sandwich hurdle, the filling. Sometimes it will be soggy slices of cucumber and nothing else (yuk). Usually ham or chicken. Sometimes chicken and bacon if I’m really lucky. But not awe inspiring. The next layer of the afternoon tea stand is the scone. Or as I sometimes call it the ‘none’ because there are none. I once attended a slightly posh upmarket establishment in Chichester, West Sussex, which should have been a joy. I phoned in advance to discuss my allergies, and followed this up by email. They assured me that they would cater for me no problem, and that my afternoon tea experience would be as good as the other members of my party. When the ubiquitous cake stand came out, imagine my disappointment to see these lovely fluffy warm scones all around me, and an empty space where mine should be. I had foreseen that this might be the case and ran back to my car to collect the ‘back-up’ scones I’d dug out of my freezer. I then had to pay £25 for the pleasure of having catered for myself. The top (and most important) layer is the cake. What is afternoon tea without a massive slab of cake? Disappointing. Back to the upmarket establishment in Chichester, they obviously didn’t have the skill or inclination to attempt baking a cake, so cheated and bought a selection of sawdust and sugar otherwise known as a supermarket “Free From” range (back to thinking I’m coeliac). That was the icing on the cake! 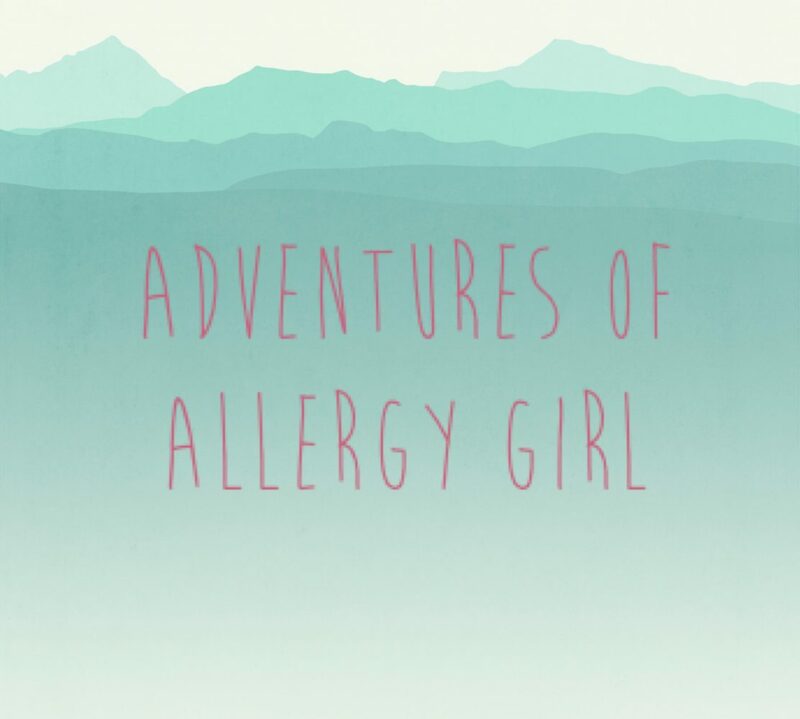 I have sampled several afternoon teas in the quest to find an Allergy Girl friendly solution. My favourite was just last weekend. Lilly’s in Wickham Square did an outstanding job. Yes, there was the unspread ham sandwich, but the ham was beautiful (freshly sliced gammon ham with honey and mustard), the granary bread was hearty and delicious and a little pot of dairy free spread was provided so I spread my own sandwich. The scone was heavenly. Still warm from the oven and a decent size. Topped with the dairy free spread and strawberry jam (from a twee little jar) it was delightful. Amazingly I still had room for the cake, which was a huge dairy and egg free chocolate cupcake topped with rich chocolate frosting. I was a very happy Allergy Girl. Nineteen Fourteas comes a very close second. The tea room is quirky with its 1940s theme, and the owner Betty is simply fabulous. The high tea comes with an added layer of crackers and cheese, and Betty bought in some dairy free cheese just for me! The vanilla cupcake was beautiful, and I enjoyed it the following day (as I was too stuffed to manage it). The Pavilion Tearoom at Stansted Park is a pretty good alternative, but you get a flapjack and fruit salad in place of the cake, which is better for my waistline but doesn’t really hit the spot. I would also recommend Rhinefield House Hotel in the New Forest, for a beautiful location and refined menu. From my experience it helps to book afternoon tea well in advance and to follow up with an email. I always offer my basic sponge cake recipe, which only Betty has taken my up on so far. My basic sponge is easy and quick to make, doesn’t require many special ingredients and can be jazzed up with different flavours. See my recipes page for the recipe.